In our deep blue sea, there’s plenty to discover. 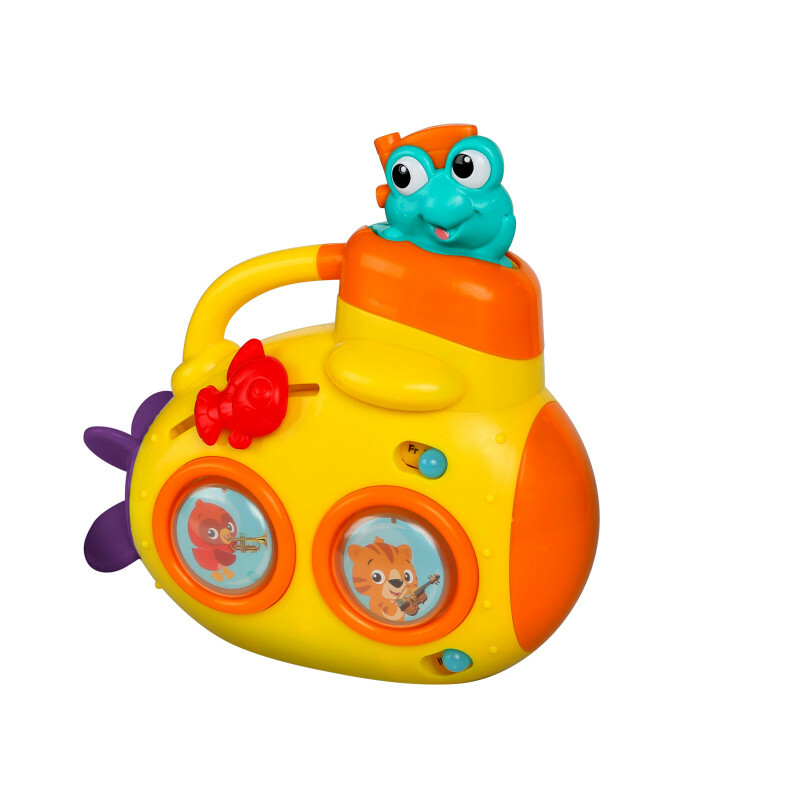 And with his Discovery Submarine, he’ll explore the depths of 75 new sounds, phrases and melodies. From a bobbing turtle, to music and so much more, your little sailor will dive deep into exploration. Multiple activities keep him engaged while encouraging development of motor skills and an understanding of cause and effect. With so many sights and songs, this toy helps introduce a lifelong love of music and discovery. An ocean of 75 sights and sounds! Dimension (in) 3.75" x 8.75" x 9"